Your house’s heating and cooling systems are important for maintaining your comfort level and safety in your home. These systems also use a great deal of energy. You’ll need regular maintenance if you want them to perform efficiently and effectively. Be sure that the following HVAC maintenance items have been added to your checklist in order to keep your heating and cooling systems performing optimally! Remembering to change your air filters is a key part of HVAC maintenance. If your air filters become clogged, airflow through them will be reduced and your heating and cooling systems will have to work much harder to force air through, increasing wear and tear on the systems. Depending on your circumstances, the recommended time between changing your HVAC filters can vary, but it could be as frequently as every month. Changing your filters will mean less housework for you, too, because a fresh filter will catch dirt, allergens, pollen, and mold spores before they become household dust. 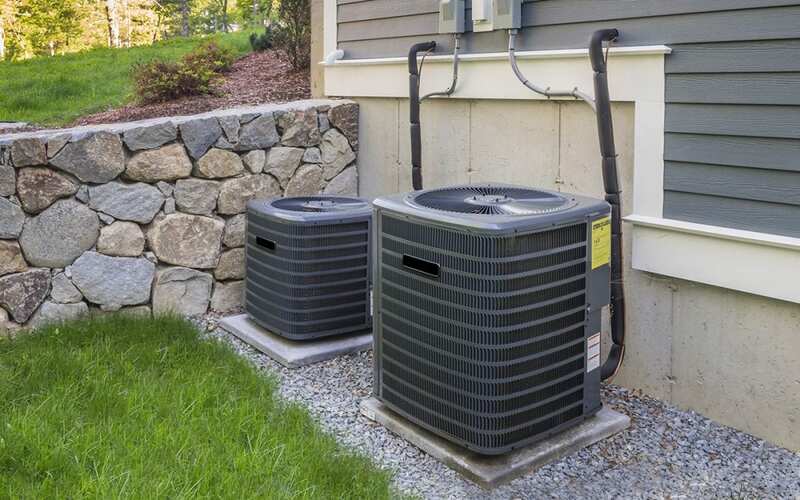 If you have central air conditioning or a heat pump system, it depends on compressor units located outdoors that swap out hot air for colder air. It’s important to check the compressors each spring and fall for anything that might get in their way. Trim any plant-life that’s encroaching on the compressor and get rid of leaves and other debris surrounding the base and sides. These units need their space! If you have a thermostat that you can program, schedule the heat for a lower temperature when you’re going to bed at night and when you’re out of the house during the daytime. Don’t keep playing around with the temperature throughout the day and night as this will result in your auxiliary heating system turning on—and the charges to your wallet will be high. If you are having an HVAC system installed, ask the contractor to explain how you can best keep your heating and cooling systems functioning effectively. Many technicians are happy to put their expertise to good use by offering HVAC maintenance tips. HVAC systems are also inspected in a General Home Inspection and some inspectors will also perform Home Energy Audits that provide insight into your home’s energy usage to help you develop a plan to improve efficiency. Hub City Home Inspections is a full-service inspection company in South Mississippi. Inspector Greg Porcello uses a thermal imaging camera for energy audits to measure the thermal output of specific systems. Click here to request an appointment.